FastSCAN II is a handheld, lightweight, laser scanner that produces scans instantly—with an ultra-portable system bundled in a compact case. With a simple sweep of a wand, FastSCAN II lets you create instant real-time 3D images—anytime, anywhere. This allows FastSCAN II to go where you go, scanning objects easily and onsite in their natural environments. Take your scanning work out in the field or easily transport the scanner from classroom to lab. With the optional rechargeable battery, FastSCAN II travels easily, and can be set up in less than just two minutes—taking scanning capabilities from indoors to outside. 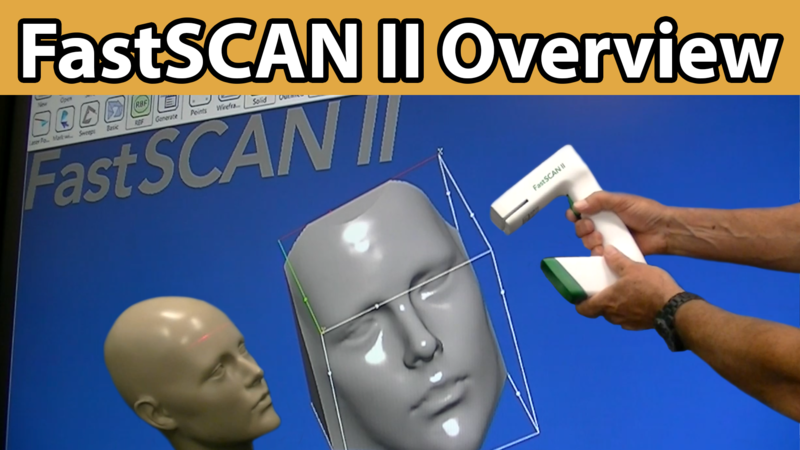 FastSCAN II produces high-quality scans of everything from simple objects to complex artifacts. Preferred by professionals, FastSCAN II requires a fraction of the post processing, compared to other scanners on the market. The sophistication of the software is unmatched, as it’s intuitive and easy to learn. It saves you time, delivering automatic overlap removal of the scans, as it seamlessly stitches data points together. FastSCAN II sports a lighter weight than the original product and boasts an ergonomic design providing a sleek, user-friendly look and feel. Like its predecessor, (the original FastSCAN), FastSCAN II is a product developed by ARANZ Medical Limited that produces laser scanned images in-part by utilizing Polhemus proprietary electromagnetic motion tracking technology, which determines the position and orientation of the wand. Key features are highlighted below, for a complete description see the: FastSCAN II Brochure. For a complete description and product specifications, see the brochure below. For pricing and additional information, contact: sales@polhemus.com. 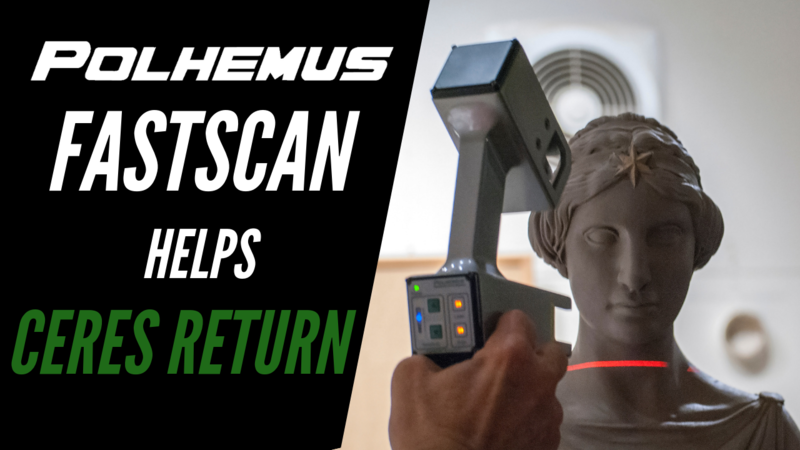 The high fidelity scanning capability of the Polhemus FastSCAN aided in the replacement of the 80-year old statue atop the Vermont Statehouse.